Product categories of Aluminum Alloy Forming Die Casting, we are specialized manufacturers from China, Aluminum Alloy Forming Die Casting, Precision Aluminium Die Casting suppliers/factory, wholesale high-quality products of Aluminum Alloy Die Casting R & D and manufacturing, we have the perfect after-sales service and technical support. Look forward to your cooperation! Aluminum Alloy Forming Die Casting, Casting dimension precision, surface roughness, low productivity, high utilization rate of metal, casting high strength and surface hardness is high, is the mechanical parts of common aluminum alloy die-casting molding process, the products are widely used in electronics, automobile, motor, household appliances and some of the communication industry. 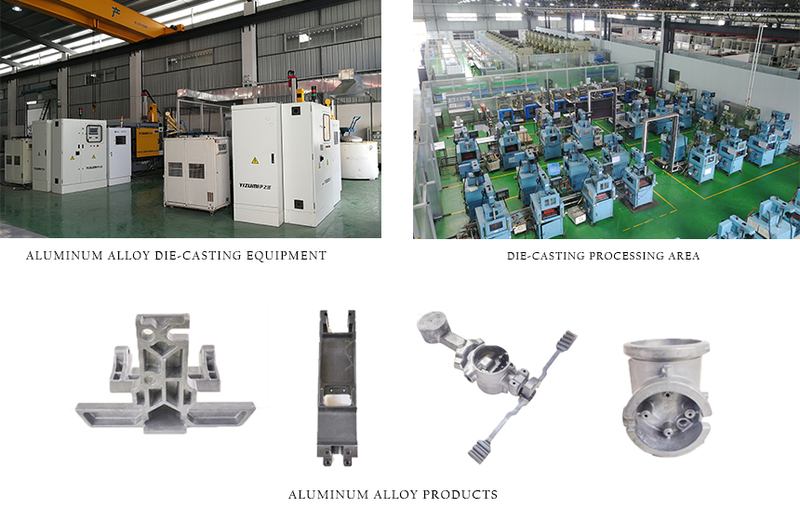 Our company has 15 traditional die-casting equipment, 15 years of die-casting experience, providing customers with high-efficiency aluminum alloy die-casting.